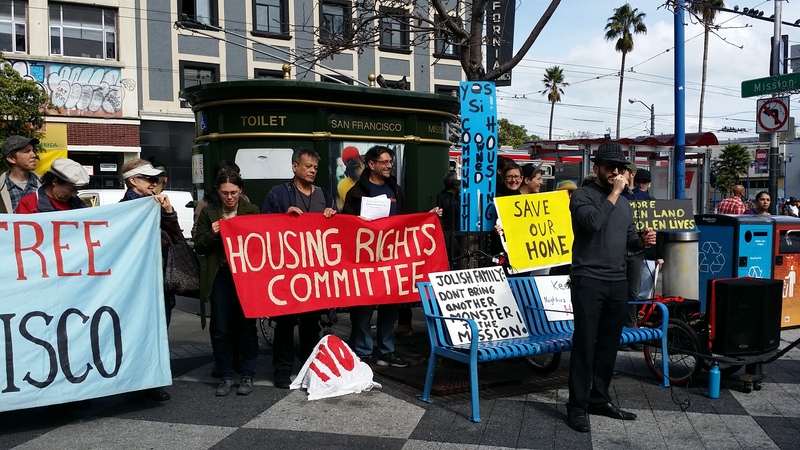 Housing Rights Committee is a Membership organization. Our members make our voice strong and help us continue our work to support renters in need. Memberships also help make Housing Rights Committee financially healthy. Your contributions keep all of our services free to tenants in San Francisco. They help us lobby and organize for important tenants rights legislation and strengthen rent control protections. A membership is inexpensive. A donation of at least $10 a year will get you all the benefits of membership, including our occasional email newsletter and email updates. You’ll have the satisfaction of knowing that you are part of the movement to make the city a better place for renters. You can fill out our membership form and mail it back to us with your check or download it and email it to admin@hrcsf.org. Thanks. Simply click on the “Donate” button above and type ‘HRCSF” in the “Designate my Donation” box in the window that opens, so that we receive your gift. Thanks.